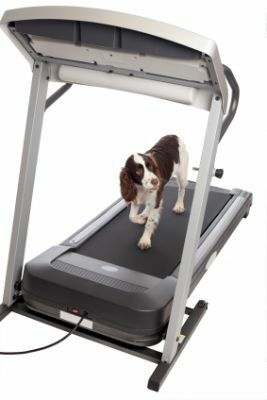 What Happens if a Dog Isn’t Exercised Enough? As a professional dog trainer, I often find that many of my clients think they are exercising the family dog enough simply because the dog has access to the backyard for a few hours a day. In most cases, this doesn’t constitute as exercise because many dogs just don’t do anything when in the backyard. I’m called in for training and behavioral work with these clients, and many times one of the roots of the issue is the dog not being exercised enough each day. My motto is that the goal should be to have a happily tired dog each day. 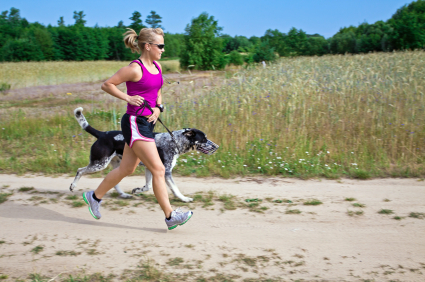 How much exercise that might be is directly related to the individual dog, but the goal is the same for all dogs. When a dog isn’t exercised enough, that energy becomes pent up and it has to go somewhere! Most of the time it goes into behaviors that are possibly entertaining for the dog, but the same behaviors are inappropriate or annoying to us. For example, some behaviors that might be caused by lack of exercise or be contributed to by lack of exercise include: digging, excessive barking, escaping from the yard, jumping on people, running around, chewing and destruction, pestering for attention non-stop, and obsessively asking to play. Some neurotic behaviors can also form like chasing its own tail or self licking. Why are Exercise Needs Different? Every dog is an individual so exercise has to partly be judged on that individual. Some dogs are simply a higher energy level individual and require more exercise and playtime, and some are more low key and couch potato-like. There are also huge differences in breeds. An English Bulldog doesn’t have the same exercise requirements as a Belgian Malinois. Giant breeds, although huge in size, normally have smaller exercise requirements, and people are normally quite surprised to find that racing greyhounds make fabulous house pets that are calm. Why do these differences occur? It truly comes down to what a dog was originally bred for. A dog like a greyhound is bred for hunting by sight. They are excellent running dogs, but they are sprint runners so that they can quickly chase and catch prey. It also means they exert a lot of energy quickly. A dog like an English Bulldog as he is today is short, stocky, and has compromised breathing. He is not a dog built for swimming, and although he enjoys taking walks, he might be tuckered out in just a couple of blocks. Dogs that are bred to have jobs that require stamina simply need more exercise. Bird dogs normally require a lot of exercise because they were bred to work alongside a hunter in the field all day long, and herding breeds like the border collie were bred to go all day long never taking time off from the herd. Dogs like this need a job to do or something that mentally and physically drains them each day. How to Exercise a Dog Enough? Exercising a dog has two components: mental exercise and physical exercise. It’s just like you. You are likely very worn out after a hard day at work that required a lot of mental thinking and concentration. You often feel as if you ran a marathon! This means that for our dogs we need to try to balance both of these components for the best effects. 1. Mental Exercise: This is just asking your dog to use his brain. How you choose to do that is entirely up to you. It might be through training and different sports. It is mentally challenging for a dog to work an agility course, herd sheep, track, or other tasks. Food stuffable toys: For a dog that loves to eat, a food stuffable toy (like a Kong smeared with peanut butter inside) is a fun task. In fact, there are some service dog groups, and likely others too, that feed their dogs their whole meal via the Kong toy. Food dispenser toys: This is a variation of the stuffable toy. The dispenser toys spit out food as the dog moves them about. Food toys: There are several types of toys now where food can be hidden in them, and the dog is required to figure out how to get it out by moving puzzle pieces. Hide the food game: Dogs used to have hunt for their dinner, and if your dog likes to eat, this is a skill you can keep fresh in your dog. It can be done through tracking or quite easily by hiding food for your dog. You can play the game indoors, or the easiest way to play the game is to take the dog outdoors in the backyard. Scatter the kibble in the grass and let your dog sniff out the meal. Hide the toy: Dogs that are very keen on playing with toys can learn to find their toy. Name the toy for your dog so that you can start to teach your dog to Find Your Ball or something similar. In the beginning the hiding can be easy to spot but can get progressively harder. Hide N’ Seek: This is a variation of the hidden toy using you or someone else the dog loves. Scent Discrimination: While this is useful for training working dogs, it can be used as a game for any dog. In the United States, there is even a growing sport known as Noseworks. 2. Physical Exercise: This is doing physical work to tire a dog out! There are limitless options depending on what you can think of. Walking: This is the easiest one for just about everyone. Try brisk walking, trail walking, or walking up and around hilly areas to make it more tiring. Jogging: For those people that prefer jogs, this can be an ideal situation. Remember not to jog with your growing puppy. It is best to wait until the dog is at least 1 year of age and preferably 1 ½ years old. Biking: A variation on jogging. The dog will end up jogging, but you’ll be biking. Swimming: If you have access to a pool or lake, many dogs enjoy swimming, playing in the water, and chasing after toys. In large bodies of water, always use a life vest for safety. Fetch: Active playing with toys with you can be a great activity. Games of fetch and tug of war are very physically challenging. Training activities like agility and herding certainly use up a lot of energy! Be creative! You might find that there are lots of other options open to you and your dog. Consider your lifestyle and create exercise that works with what you have available to you.